Learning Chinese through smartphone or tablet? Here are 10 recommended apps to study Mandarin. One of the easiest ways to start learning Chinese or improve language skills is to use apps. What’s on Weibo has listed 10 recommended apps that are helpful to any learner of Mandarin. 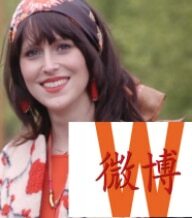 One of the most-asked questions by people who want to learn Mandarin is: where do I start? Do you begin by learning characters, do you start out with tones, or just focus on the pinyin? For more advanced learners, there is another challenge. How do you make sure you do not lose the knowledge you already have and to how to keep on improving your language skills? Although learners should always work with whatever methods are most effective for them, the most productive way of studying Mandarin is to study its different components at the same time. Studying new words on paper without learning their tones is not recommended, neither is focusing on pinyin without learning the characters. Instead, it’s better to get a grasp on all the different aspects of this rich language. 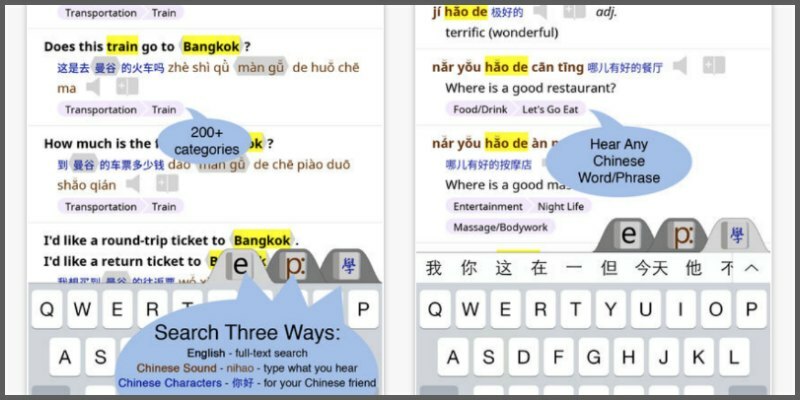 Some of the 10 apps in this list are Chinese apps meant for a Chinese audience, and not necessarily meant for Chinese language learners – but they are nevertheless excellent learning tools. 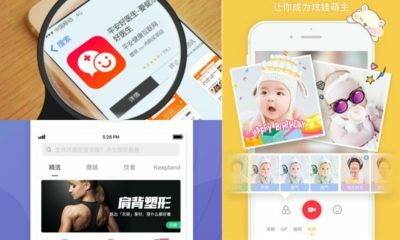 Here are some What’s on Weibo favorites for Android, iPhone or iPad, from beginners to advanced levels of Mandarin. A confession from the editor: Pleco has been my best friend ever since I started studying Chinese. At the time, I once invested an amount that seemed like a huge sum of money as I was working side jobs as a beginning student to purchase the app’s professional package. I used a hand-me-down Palm handheld (!) at the time, but since then, the Pleco support team has never failed me as I transferred the dictionaries to my first iPhone, my first Samsung, and even my first iPad. The fact that many years had passed since my first investment was never an issue. Although Pleco’s service is praiseworthy, it is all about the app itself in the end. Pleco calls itself “The #1 Chinese dictionary app for iOS and Android” and it is hard to argue with that. It is suitable for anyone studying Chinese on an elementary, intermediate, or advanced level. 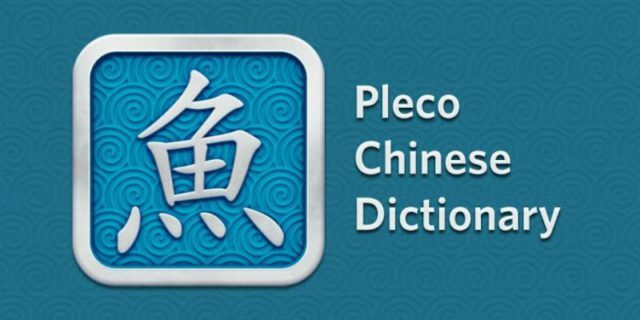 What is good about Pleco is that it has a great range of dictionaries and has an easy handwriting recognizer; even if your handwriting in Chinese is not that great, it will still get the character you need. The major plus for Pleco is that it is much more than a dictionary alone. It has an add-on optical character recognizer that will help you read offline texts, and the “clip reader” function is super handy to copy Chinese texts on smartphone/table – just copy the text and navigate to Pleco to find the text and tap words and characters for their meanings. Outlier Linguistics has also partnered up with Pleco, adding its excellent Chinese character dictionary to the add-ons. The Essential edition contains all the essential info about each Chinese character, while the Expert Edition is for those who want to dive deep into the history and etymology of Chinese characters. Another tip: with Pleco, you can train your Chinese vocabulary through flashcards: add any words you do not know to a category (for example: ‘My Chinese Business Vocabulary’, or ‘Dirty Words in Chinese’), and then quiz yourself through Pleco’s ‘test’ function. It will repeat all the words you got wrong until you have a 100% score. The free version is ok, but for learners who are serious about learning Chinese (especially when you’re dealing with Chinese for your studies) the professional package is recommended and you’ll be able to take it along with you, even when you switch from the ancient Palm to the latest iPhone. Price: free (elementary), US $29.99 for basic package (bundles through Android), US $99.99 (professional package) + rich selection of optional add-ons. iPhone: Pleco Chinese Dictionary – Pleco Inc.
iPad: Pleco Chinese Dictionary – Pleco Inc. Whether you are on the road or at home, online or offline, Chinese Class 101 offers Mandarin comprehensive learning courses that you can easily integrate into your everyday life. The lesson-per-lesson audio system makes it easy to listen and practice to bite-sized conversations and fragments (which can all be downloaded) while you’re driving to work or cooking dinner. The app offers lessons from the absolute beginner’s level to the very advanced level. Every lesson consists of an audio class of ±10 minutes that usually features a conversation, an audio review of vocabulary, a line-by-line display of the conversation (in English, pinyin, simplified & traditional Chinese), and lesson notes. Note: the overviews and transcripts only come with the premium subscription – if you only want to do audio, you’ll be fine with basic, but to get a complete overview of the texts and words you’d have to go for the premium one ($10/month). 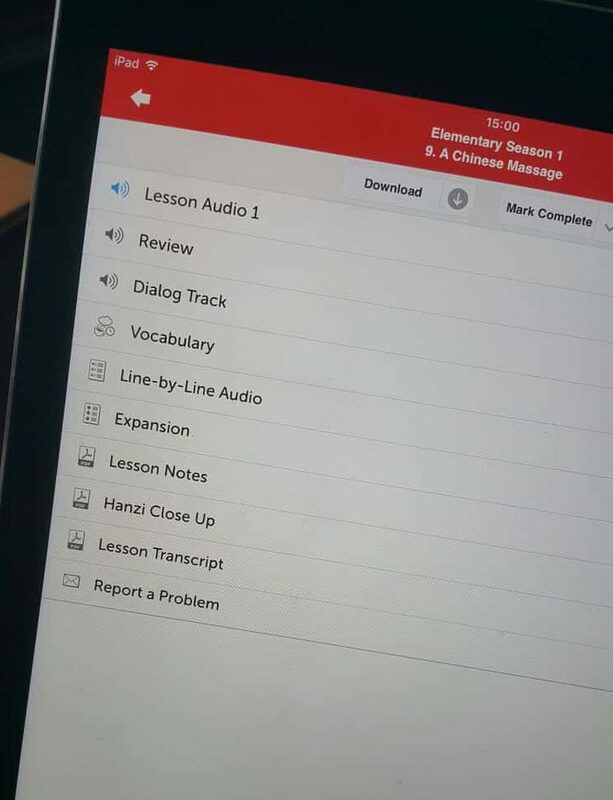 Chinese Class 101 also provides the option to have 1-on-1 interaction with a personal teacher through the app, which only comes with the more expensive premium plus subscription. If you are not learning Chinese through a school or university, this program is a very effective way of learning Mandarin. One of the key things of this course is the way it repeats the things you’ve learned to really make it stick in your head. (Also, their Korean programme is very good if you’re considering to take on an extra language…). Price: This app works with a subscription system. It is free to try for a week, US $5/month for the basic package (access to all audio archives), US $10/month for the premium package (includes wordlists and transcripts) and $23/month for the premium plus (includes option for 1-on-1 teaching). Ok, ok, this is not technically an app – it is a plugin. But it needs to be high up in this list for anyone learning Chinese. Pera Pera is a pop-up dictionary add-on for Chrome or Firefox. It gives the English definition for Chinese texts, making it infinitely easier for those struggling with characters to read Chinese online. Pro’s: easy to install, easy to use, and translations for many modern names or slang words. Downside: if you use Pera Pera too often, you will get lazy and won’t actually learn the characters. Try to only activate this add-on when you really do not know the character. 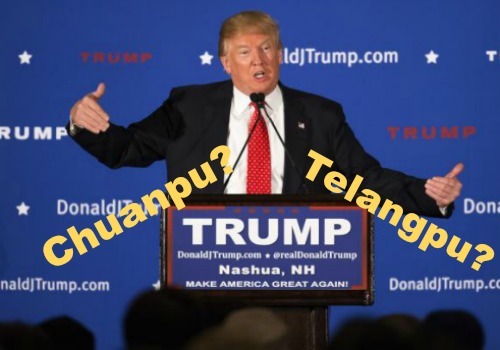 A major plus of Perapera is that it often gives the translation for relatively new ‘internet slang’ words or typically online words, making it an effective tool for the modern-day learner of Chinese who scrolls through Chinese texts. If you are looking for a similar feature for your Android smartphone, Pleco (number 1 in this list) has a ‘screen reader’ feature for that. We’ve been told that in the lastest Firefox version, Pera Pera does not work – in that case we recommend the Zhongwen Popup Dictionary add-on for Firefox. Immersing yourself in the language is the best way to learn Chinese. If you’re not in an environment where you are naturally surrounded by the language on a daily basis, you’ll have to create that environment for yourself. Luckily, there are many live TV & radio apps that stream countless channels for you to enjoy. 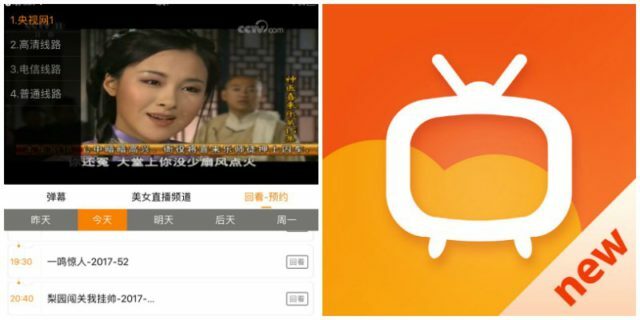 Yuntu TV is a Chinese live streaming app where you can see all the CCTV channels and many other Chinese channels such as Zhejiang TV, Hunan TV, or Shenzhen TV. 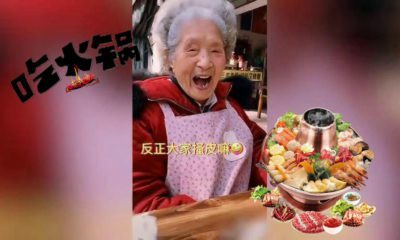 If you would like to listen to Chinese language through TV dramas, Viki Rakuten has a great selection (free, availability depends on region). 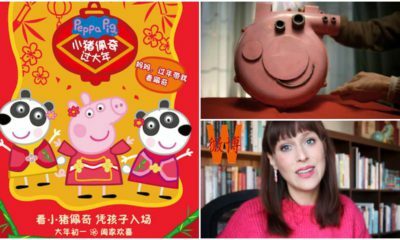 If you think Chinese news programmes are still too difficult, and you prefer to something that is a bit easier to digest, why not practice your Mandarin listening skills by checking out the stories Chinese kids like to listen to? 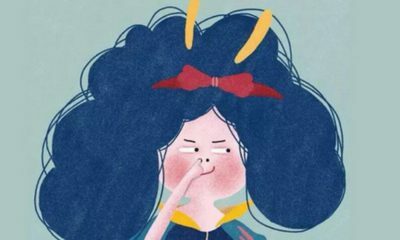 ‘Baby Ting’ or ‘Baobei Ting Ting’ (宝贝听听）is a popular storytelling app by Tencent QQ that has thousands of stories to choose from in different categories; starting from the 0-3 age group, 4-6 age group, 7+ age group, to the national classics, modern fairy tales, etc. The variety of stories that this app provides makes it a perfect tool for non-native speakers who study Chinese. Those at the intermediate level can start with the stories for the young kids and try to train their way up. Mind you; like the Yuntu TV app, this is an app that is Chinese and has no English. It is, therefore, better if you already can read some Chinese characters when using this app. This app can be linked to your WeChat account, and offers in-app purchases. 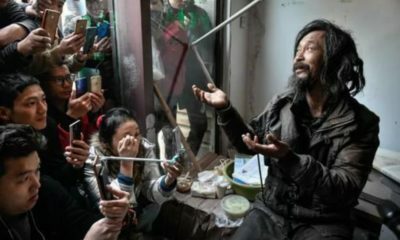 Android: 宝贝听听-睡前儿童故事儿歌大全 – 北京企鹅童话科技有限公司 (not on Google play store). Chinesepod is a well-known educational platform providing audiovisual lessons for people learning Chinese – from newbie to advanced level. It promotes an “alternative way of learning Chinese” and focuses on teaching spoken Chinese through video lessons. All the material on the Chinesepod platforms can be somewhat overwhelming, but don’t worry, you do not actually need to do all the lessons one by one; just pick whatever lessons you find interesting within your level of proficiency and start from there. Price: Chinesepod has various subscription options. The basic option ($14/month) offers access to the complete lesson library and offers the printable lesson notes, whereas the premium ($29/month) option also offers grammatical explanations, custom vocabulary lists, and the full Android + iOS apps. Many apps promoting ‘Mandarin phrases’ are often disappointing because of their limited range of topics and phrases. This app by Paiboon and Word in the Hand, however, is worth your time – although it is somewhat pricey. It is suitable for travelers to China who want to be able to communicate their basic needs, as well as for those studying Chinese to grasp basic sentences and practice tones. The phrasebook offers more than 15,000 words and ready-to-use phrases in over 250 practical categories, from all the basics to situations relating to, for example, legal cases, superstitions, or romance (the ‘swearing’ category is quite amusing, providing different ways to insult someone.) All sentences and words are displayed together with audio, characters, and pinyin. What?! Are we seriously recommending a purple dragon that eats trains and mice as a Chinese learning language tool? Yes, we are. Because if it works for kids, it works for you. This purple dragon needs to be fed. 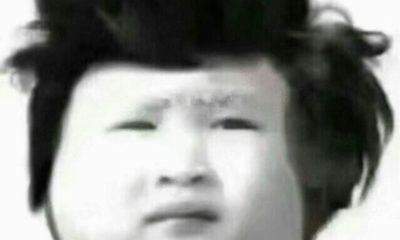 A very clear voiceover will give you instructions in Chinese on what to feed him. You’ll find out soon enough if you’ve fed him the wrong stuff: he’ll be displeased and will show it. This is an app designed by Pencilbot, which also provides the “Feed Me!” app in Korean, Japanese, Arabic, and many other languages. 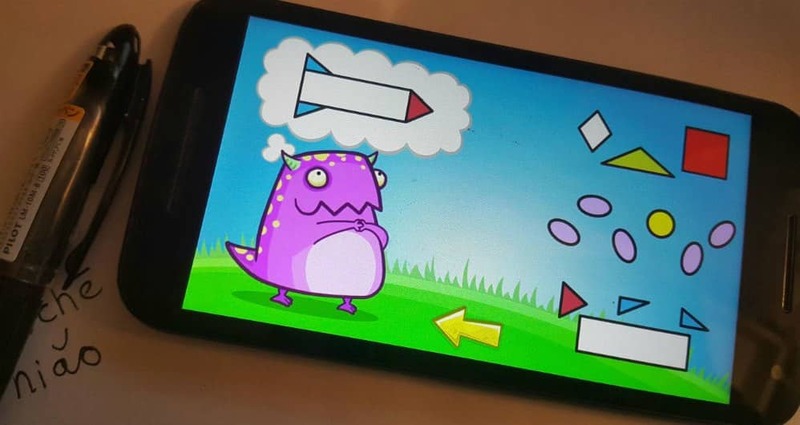 Although the app is targeted at kids around the age of 5-6, it is also useful for adults to feed the dragon the red apples, blue birds, or yellow squares. Not just because the the Mandarin is beautifully pronounced, but also because the little dragon cheers you on in the cutest way when you get it right. If you tickle his belly he will start giggling. After playing this, you will know how to pronounce colors, shapes, numbers, animals, fruits, and more in Mandarin. If you don’t like it, your kid will. iPhone: Feed Me! Chinese – Edutainment Resources, Inc.
iPad: Feed Me! Chinese – Edutainment Resources, Inc.
Android: Feed Me! 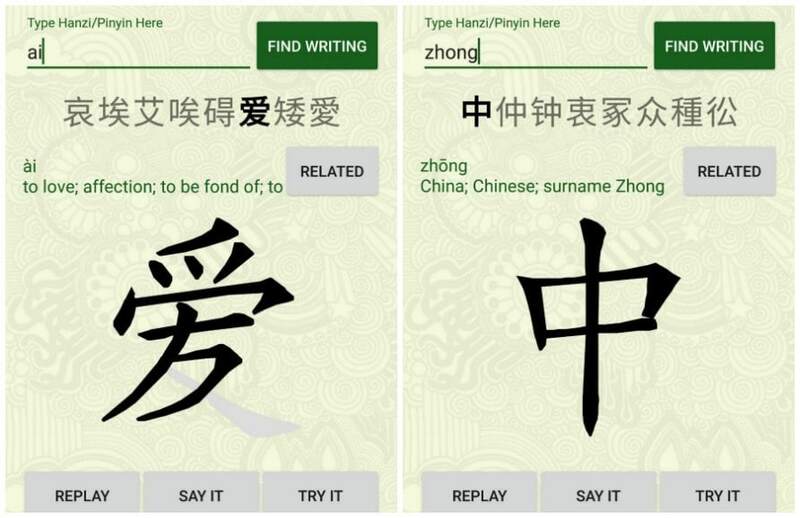 Chinese – Edutainment Resources, Inc.
Because learning Chinese means learning to listen, speak, read and write, this list wouldn’t be complete without an app that focuses on teaching how to properly write characters. This is what Hanzi Writer does very well. Users can type in the pinyin of a character (for example, ‘ai’ for love), and select the character they want to see. 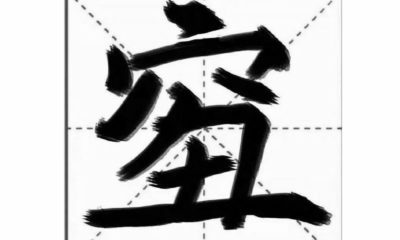 Hanzi Writer shows the stroke order and how to write, and then gives you the opportunity to try for yourself. Learning to properly write characters is all about repeating repeating repeating, and this app is perfect for that. Recognizing and pronouncing tones the right way is essential for your everyday use of Mandarin. Understanding or saying the wrong tones can lead to awkward situations. That is why this Laokang Tone Test is a must-have app if you are in the early stages of learning Chinese. 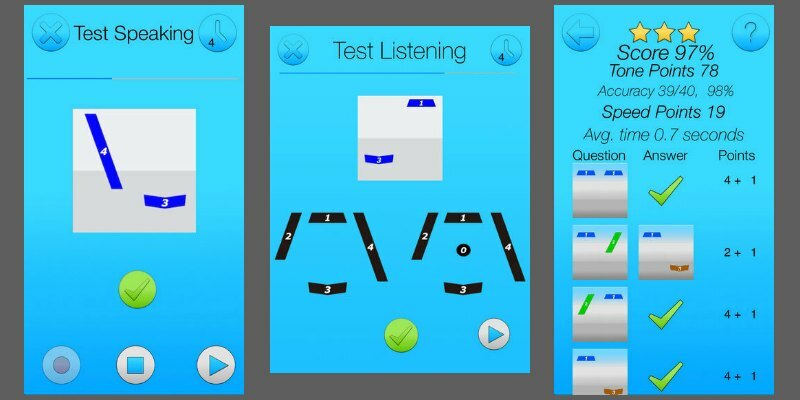 The app is very simple and basic: it will train both your hearing of tones and your pronunciation. The layout of the app is not very pretty, but it works like a charm. This list can still change and does not include all of the apps mentioned by our readers on Twitter or Facebook. Some of you enjoy Memrise to study Chinese, while others dislike its latest changes (what do you think?). If you want to add your favorite app, please let us know in the comments below. 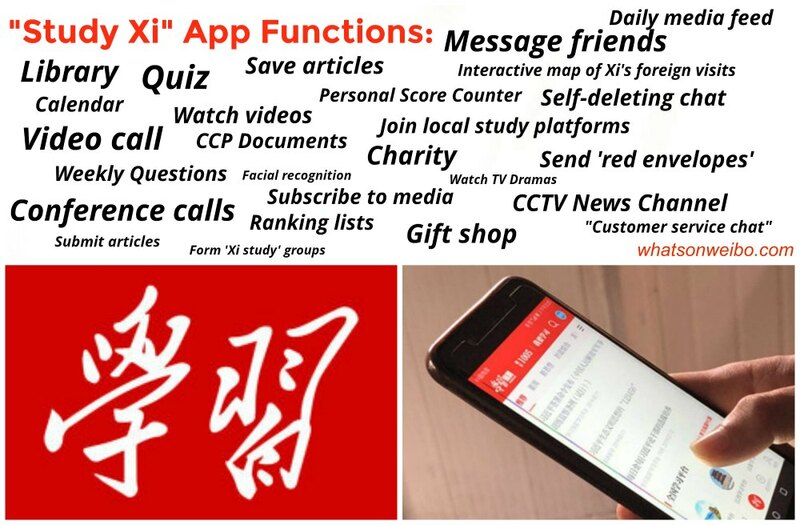 As the ‘Study Xi’ app, that encourages China’s online population to study Xi Jinping Thought, keeps on dominating China’s top app charts, these are some of the big questions on China’s latest interactive propaganda tool. 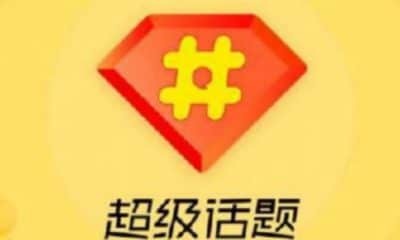 What’s on Weibo explains. 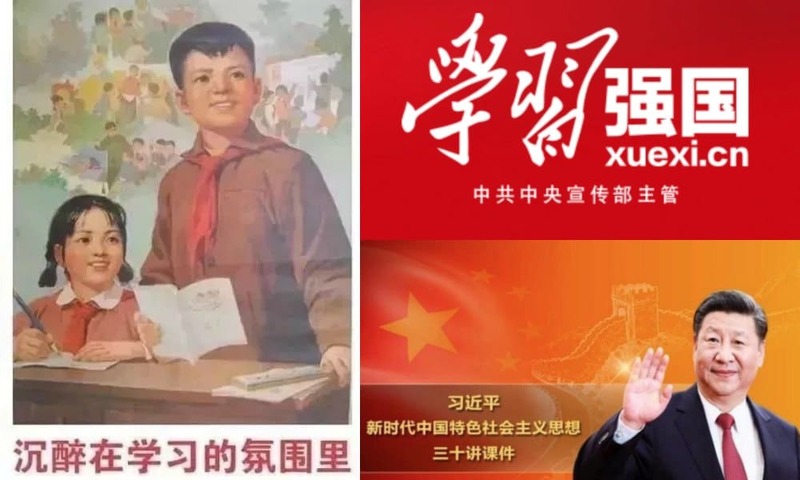 Since its launch in January of this year, the ‘Study Xi, Strengthen China’ app (Xué Xí Qiáng Guó 学习强国, also ‘Study Xi, Strong Country’)1, that was released by the CCP Central Propaganda Research Center (中央宣传部宣传舆情研究中心), has been making headlines both in and outside of China. The app, that revolves around studying “Xi Jinping’s Thought on Socialism with Chinese Characteristics for a New Era” (习近平新时代中国特色社会主义思想), is still top ranking on China’s popular app charts: it is the overall second top free app in the Chinese iOS Store, and the number one most popular educational app in Chinese charts at the time of writing. ‘Study Xi’ is a multi-functional educational platform that offers users various ways to study Xi Jinping Thought, Party history, Chinese culture, history, and much more. Once people are registered on the app, they can also access the platform via PC. Every user has a score that will go up depending on how active they are on the app. 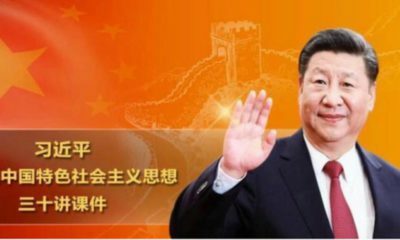 An important part of the app is its news feed: the home page features “recommended” reads that all focus on Xi Jinping and the Party. 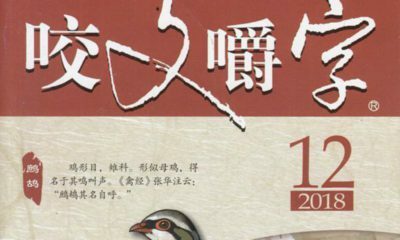 Another major feature is its ‘quiz’ page: every week, there are different quizzes that users can do, relating to all sorts of things, from Party ideology to famous Chinese poems. For our previous article on the app, we listed some of its functions in the image below. It is much more than a media app alone; it also has a social function, that allows users to connect with friends, message them, call them, and even send them ‘red envelopes’ (money presents). 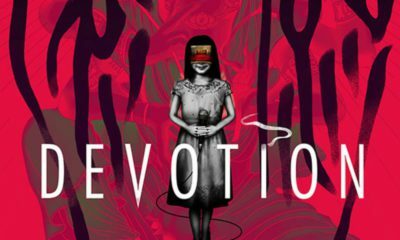 As its popularity continues, and Weibo discussions on the app continue, we will answer some of the questions you might have about the app in this article. #1 Was the app developed by Alibaba? Ever since its launch, it has been rumored that Alibaba is the company that developed this app. 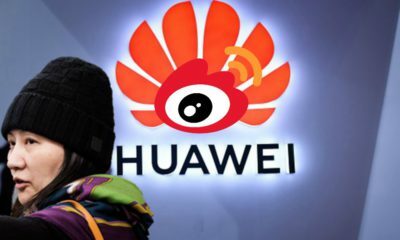 In the app’s descriptions, however, all copyright and credits go to the Central Propaganda Department of the Communist Party that has allegedly started developing this app since November of 2017. Nowhere does it say that Alibaba was involved in its development. Alibaba’s involvement, however, is in no way a secret: the app’s ‘red envelope’ function is made possible through Alipay, the online payment platform that is owned by Ant Financial Services Group, an affiliate company of the Chinese Alibaba Group. One way for users to verify their identity on the app is also by linking it to their Alipay account. Users of the app also noted that, upon registering for the app, their old Ding Ding conversations were automatically loaded into their chat history. Others said that upon changing their Ding Ding password, their Study Xi password was automatically also changed. 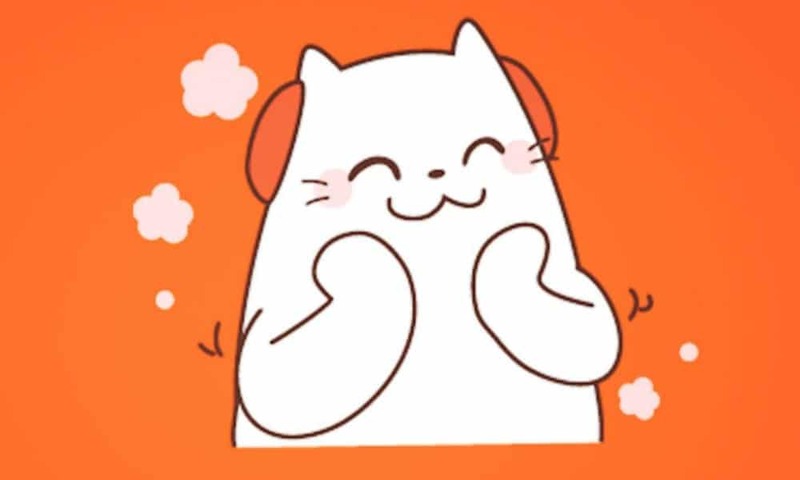 Ding Ding is a multifunctional enterprise messaging app by Alibaba (read here), and many of its functions are also incorporated in the Study Xi app. #2 Is ‘Study Xi’ mandatory? 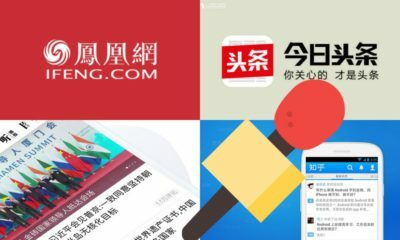 Various English-language media covering the Study Xi app have called it a “mandatory app,” but it is not true that all Chinese mobile phone users are required to download it. 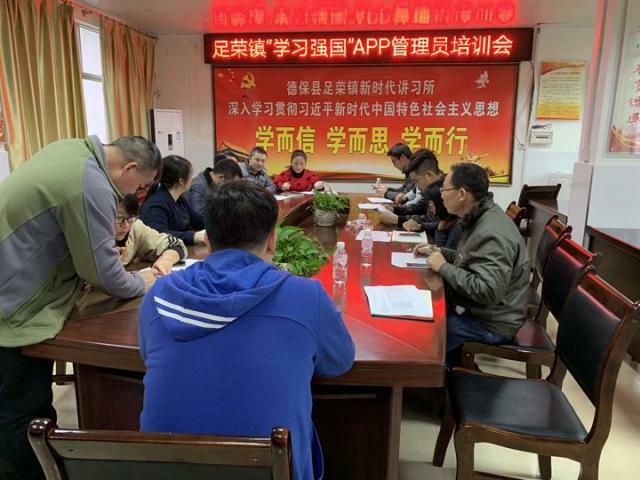 Local training for the Study Xi app, image by @高淳固城街道 (March 14, 2019). Party members, however, are strongly encouraged to use the app to learn more about Party ideology, new policies, and political theory. 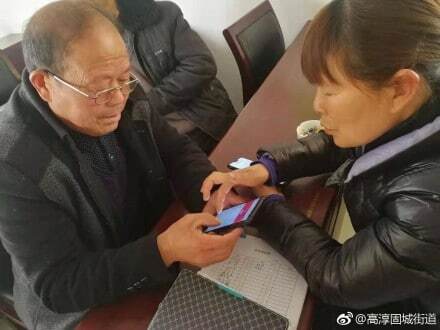 All over the country, there are local Party meetings where Party members are taught how to download and use the app. Local state media Weibo accounts frequently post about these meetings, with some mentioning that they are organized as ordered by “higher authorities” (“按照上级有关要求” or “按照要求”), suggesting that organizing and/or attending these classes and downloading the app is indeed mandatory for Party members. A ‘Study Xi’ meeting in Debao county in Baise, Guangxi. 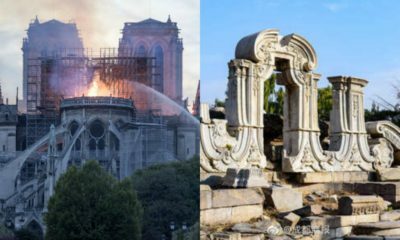 Image via Xinhua. 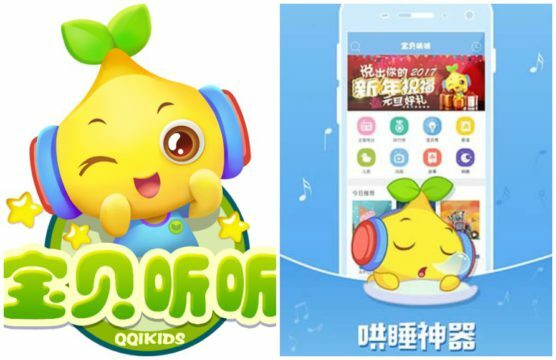 Many Chinese (state-owned) companies and schools have also ordered their employees and students to download the app. 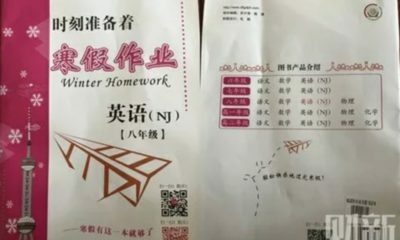 Some Weibo users write that their school requires them to score a certain number of points per day on the app. 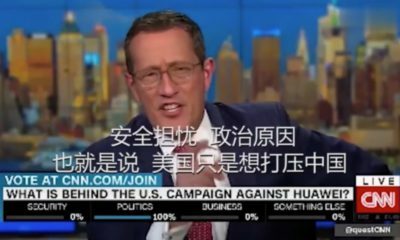 “A lot of people I know now use the ‘Study Xi, Strengthen China’ app, but it’s not the same everywhere, as it is required to score a certain number of points in some places. This work method will even make people dislike good things. Studying should be conscious and voluntary,” one Weibo blogger wrote in March. 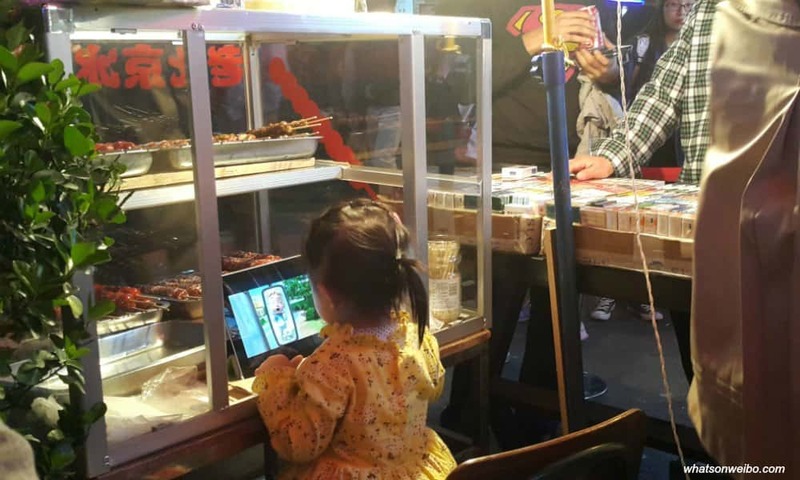 “I used to like the app because there’s news on current politics and there are quizzes, but since my work unit requested us to spend 30 minutes per day on it, I started to find it annoying,” one netizen (@超凶的钢丝球) said. 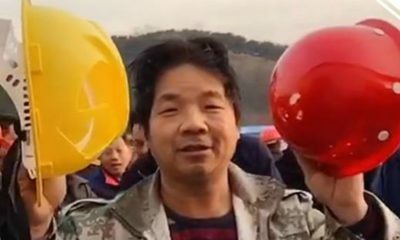 “The leader of my mum’s factory had all the workers download the ‘Study Xi, Strengthen China’ app – this world has gone crazy,” another commenter wrote. The ‘ranking system’ this netizen refers to, was a function in the app that allowed users to view the scores of other users and friends. In late March, nearly three months after the app was launched, its ranking feature was canceled. This means that users can no longer view other people’s score and ‘compete’ with them. The maximum score per day was also reduced from 66 points to 52 points. Many people on Weibo expressed that they were happy that the ranking system was canceled since they allegedly suffered from peer pressure to reach a certain score. But there are also those who say they found the ranking system “motivational,” and write they are disappointed their scores are now private. “We can always still share our scores on social media,” one Weibo user suggested. #3 How does the scoring system work? Upon registering for the app, you receive 1 point. For every article or essay one reads, you get 1 point (one per article, does not work with articles that have already been viewed before, maximum 6 points per day). For every video you watch you get 1 point (the same video won’t be credited with an extra point if you see it twice, max 6 points per day). The time you spend on the app is also rewarded with points: for every 2 minutes of reading an essay, you get 1 point (max 6 points per day). For every 5 minutes of watching a video, you get 1 point (max 8 points per day). You get 1 point for “subscribing” to a media account, which will then show up in your news feed. If you share two articles with friends, you get 1 point. You get 1 point for every two articles or essays you ‘save’ within the app. If you score 100% on a quiz, you get 10 points. The app encourages users to ‘Study Xi’ at particular times of the day. The morning 6:00-8:30 timeframe, along with the 12:00-14:00 slot and evening 20:00-22:30 times, are designated as so-called “active time slots” during which users can score double points for their activities. Within these time slots, reading an article would, for example, grant a user 2 points instead of 1. 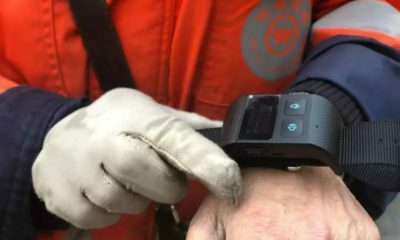 This signals that, in line with good working morale, people are supposed to look into the app during their morning commute, their lunch break, and before bedtime, and are indirectly discouraged from using it during (office) working hours. The points that are scored on the app will be valid for two years. Those who accumulate enough points can exchange them for gifts, such as study books or dictionaries, cinema tickets, or other items, which will then be sent to their home address. Recently, more places also offer special discounts for people with a high Study Xi score. In those regards, the score system is somewhat similar to Alibaba’s Sesame Credit score, that also allows people with high scores certain benefits. This month, various scenic spots across China’s Henan province offer people with a score of 1000 or higher free entrance to their sites. Those with 1000 points, for example, get one free entrance ticket to the Zhengzhou Fuxi Mountain scenic spot; those who have 2500 points get five tickets for free. 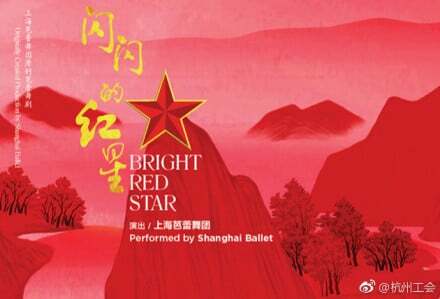 Another recent example is that ‘Study Xi’ users can now get a discount on tickets for the ballet show Bright Red Star. #4 Is the app the Little Red Book ‘2.0’? 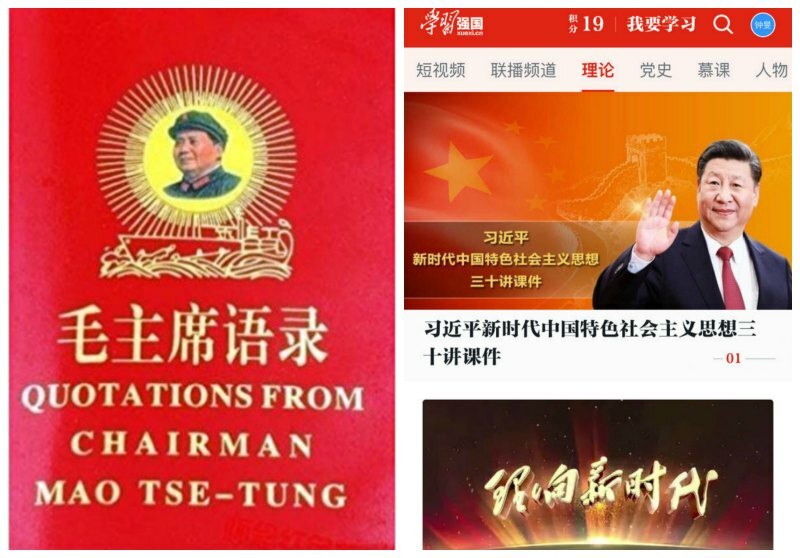 Foreign media have described the ‘Study Xi’ app as a “high-tech equivalent of Mao’s Little Red Book,” but to what extent is it really? There is, of course, no straightforward answer here. The Little Red Book and the ‘Study Xi’ app are very different in many ways. The Quotations from Chairman Mao Zedong book was first published in 1964 and fully focused on selected quotations by the Chairman of the Chinese Communist Party. More than a book, it became a symbol of the Cultural Revolution and was a talisman for many (also see Mao’s Little Red Book: A Global History). 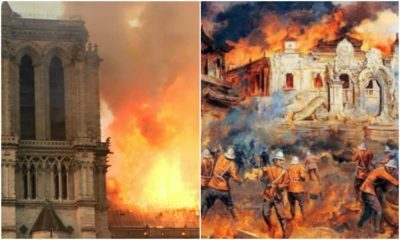 The ‘Study Xi’ app is not a singular text and goes much further than Xi alone; it has an online database containing texts and videos from dozens of sources and is a platform that allows users to educate themselves on various topics, from architecture to biology and much more. 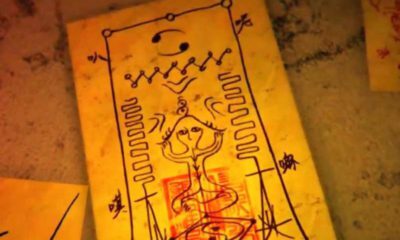 But one thing to keep in mind is that both the Little Red Book and the ‘Study Xi’ app are propaganda methods that communicate a strong message through a medium that can be easily placed in many locations, reaching a great number of people. They both revolve around their Communist leaders, turning them into political idols, and literally brings Party ideology within a hand’s reach. By turning the ‘Study Xi’ platform into an app that people can also show at various places to get free tickets, based on their score, they are also turning the app into something that matters in the public domain. #5 How is the app received by Chinese internet users? Online responses to the app have been somewhat mixed ever since it came out. For the past months, we’ve been consistently checking online responses to the app. 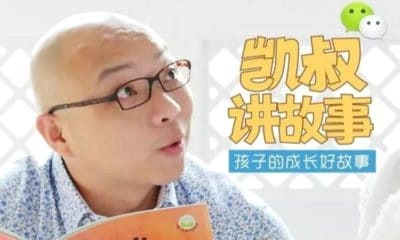 “It’s the app that Party members dread, and non-Party members love” is a comment that popped up on Weibo recently, and it seems to cover a general sentiment: many people appreciate the app, but when it is required of them to use it an to score a certain number of points, they start to dread it. 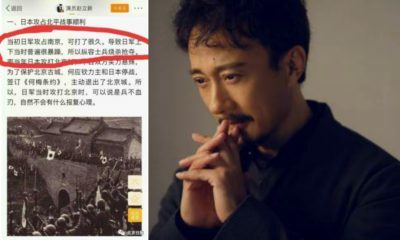 One popular history blogger (@豢龙有道) recently praised the app on Weibo, saying they had previously not thought of downloading it because they are not a Party member, but now discovered the rich educational sources the app offers. That post was shared over 45,000 times. 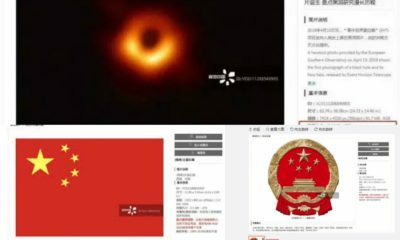 The hashtag “‘Study Xi, Strengthen China’ is a treasure app” (#学习强国是个宝藏app#) has been viewed over 180 million times on Weibo, with thousands of commenters applauding the app; they mostly seem to praise its many online educational sources, which include MOOC (Massive Open Online Courses‎) on dozens of subjects, and its online ad-free library of movies, TV dramas, and documentaries. One general sentiment that most people seem to agree on is that the app is “not bad at all” in how it has been developed and the sources it offers. In this day and age, Chinese internet users can choose from thousands of different media apps, TV channels, newspapers, and magazines. 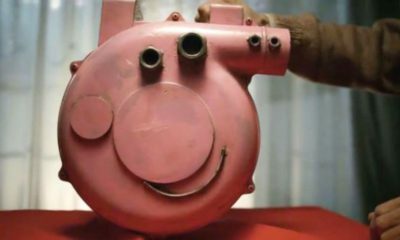 For the Central Propaganda Department to develop a product that is now being used by millions of people across the country who think it is “not bad at all,” is perhaps really not bad at all. 1Translation suggested by Helen Wang @helanwanglondon.